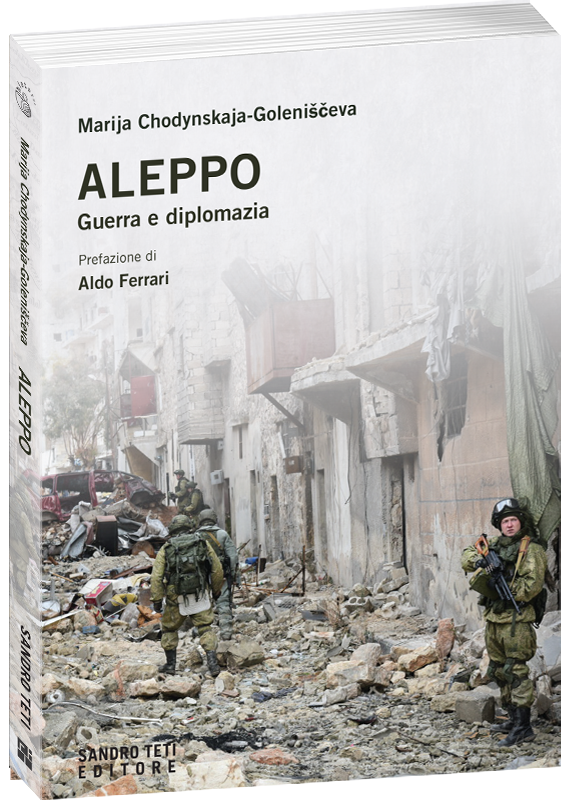 From the lively voice of a Russian diplomat, an exceptional testimony that provides the Italian reader with the position of Moscow on the Syrian conflict and the backstory linked to the liberation of Aleppo. THE BOOK: In Aleppo, from the summer of 2016 until his liberation from ISIS, aside to the cruel war on the ground, a strong diplomatic battle was fought and the author was a witness of it. The text analyzes and describes, even the “behind the scenes” of the complex attempts made by the main actors of the conflict (Russia, USA, Turkey, Iran, Qatar, Saudi Arabia) to solve “the Aleppo issue”, the role played by the UN and by the NGOs in the whole affair, and eventually the real reasons that jeopardized the negotiations between Russia and the United States. Marija Chodynskaja-Goleniščeva. Russian diplomat and writer, she has a Ph.D. in Contemporary History. She is currently a member of the Permanent Mission of the Russian Federation in the United Nations Organization in Geneva. Aldo Ferrari teaches Caucasian Studies at the Ca ‘Foscari University of Venice. He is responsible for the Russian Federation, Caucasus and Central Asia Department at the Institute for International Political Studies (ISPI).